Is this the perfect local? 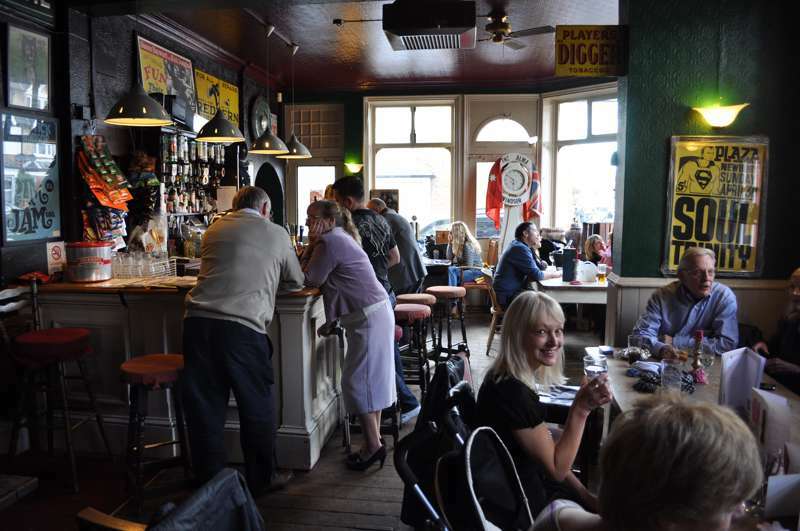 Ten minutes' walk from central Windsor, on the corner of a quiet Victorian street, the Alma is a traditional pub of leather armchairs, weathered wood, filtered sunlight and real ales. But there's a twist: it's also decked out with antiques and collectibles – paintings, old toys, retro signs – all of which are for sale. Outside there’s a big, part-decked beer garden with regular BBQs in summer. On evenings and weekends, there's fantastic grub on offer too, delivered in gargantuan proportions: epic burgers, amazing chips and vast Sunday roasts. Lovely.